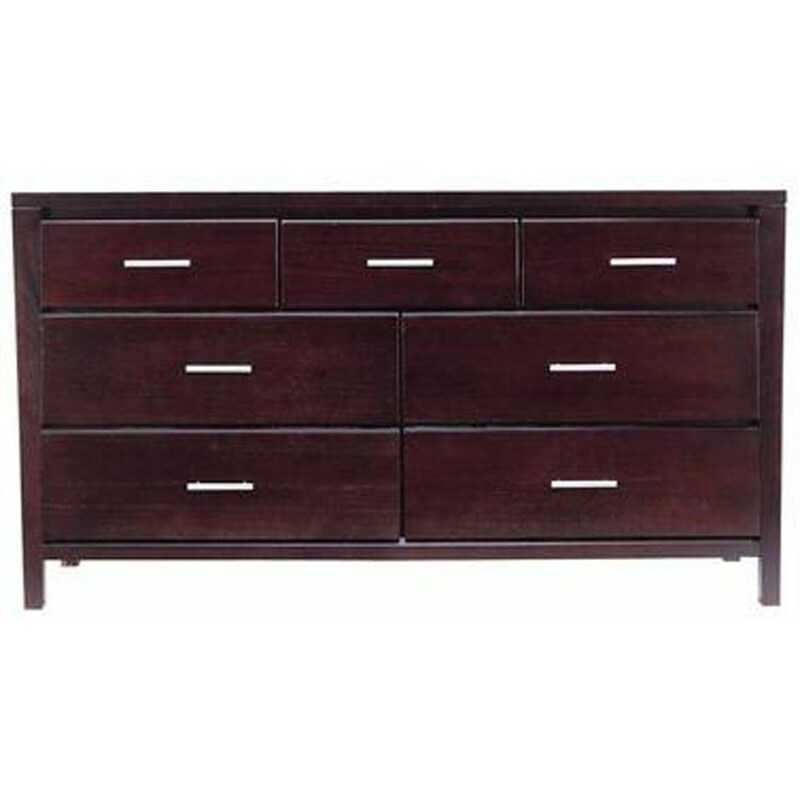 Furnish your master bedroom with this exciting seven drawer dresser. 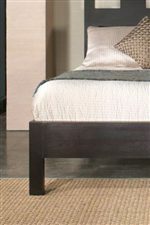 It is constructed out of beautiful tropical solid wood and eastern ash wood veneers. Brushed chrome bar pulls contrast beautifully against the dark wood case. Store your clothing items, such as jeans, t-shirts, and sweatshirts in the seven spacious drawers. Combine the dresser with the landscape mirror for a complete and functional set. The Nevis Seven Drawer Dresser by Modus International at Michael's Furniture Warehouse in the San Fernando & Los Angeles area. Product availability may vary. Contact us for the most current availability on this product.